As a project manager for a big company, Debbie R. knows that the best way to get things done is to get it on the schedule. That’s what she does when it comes to her health as well. Still, she was happy to find out that it’s easy to get her annual physical and a mammogram on the same day and in the same building. She was even happier when she came to Ella Health and found it to be unlike any place she’d been to before. “Now, I won’t go anywhere else,” said Debbie who recently had her first appointment at Ella’s Toms River center. Tresa and other Ella mammo techs make sure mammograms are comfortable. Friendly staff members quickly made her feel welcome. And she liked the extra touches such as being able to lock her belongings in a private dressing room and getting coffee in the waiting room. The biggest difference, however, was the exam itself, Debbie said. She admitted that she has skipped an annual mammogram because the exam is so awkward. Debbie, who is in her fifties, said she does what she can to stay healthy including walking regularly, drinking water often and watching what she eats. 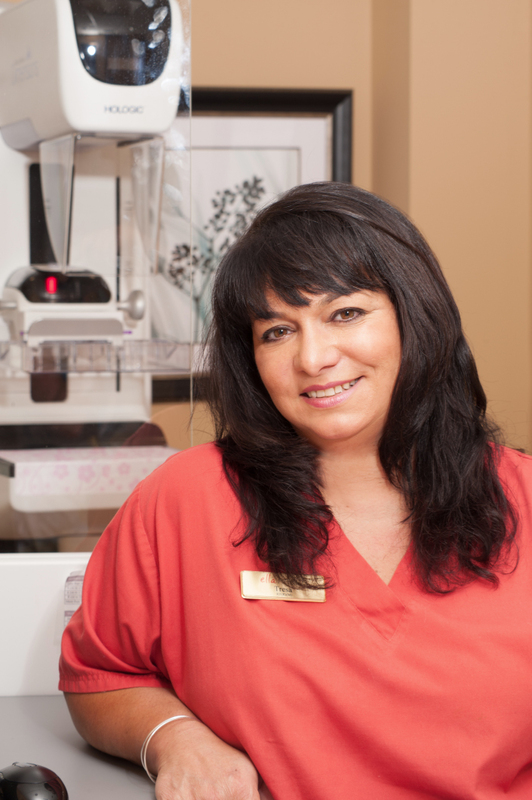 Now, she says, she is also more committed to an annual breast cancer screening exam.